Early Bird - $85 ($99 after 10/10/18); Exhibitors $250; Please refer to the chart below for further details. 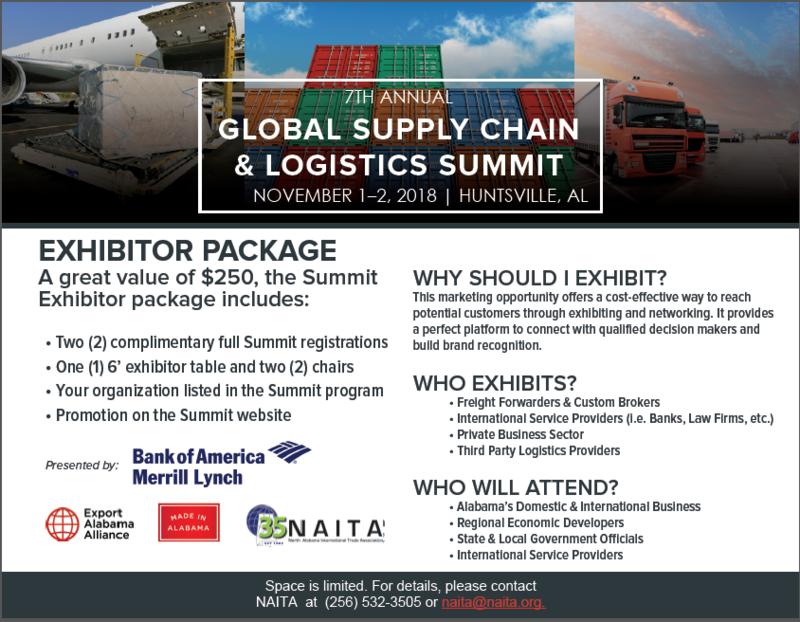 The National Customs Brokers & Forwarders Association of America, Inc. (NCBFAA)’s Educational Institute’s Continuing Education Program is offering 8 Certified Customs Specialist (CCS) / Certified Export Specialist (CES) continuing education credits for attendees of the Global Supply Chain Summit. 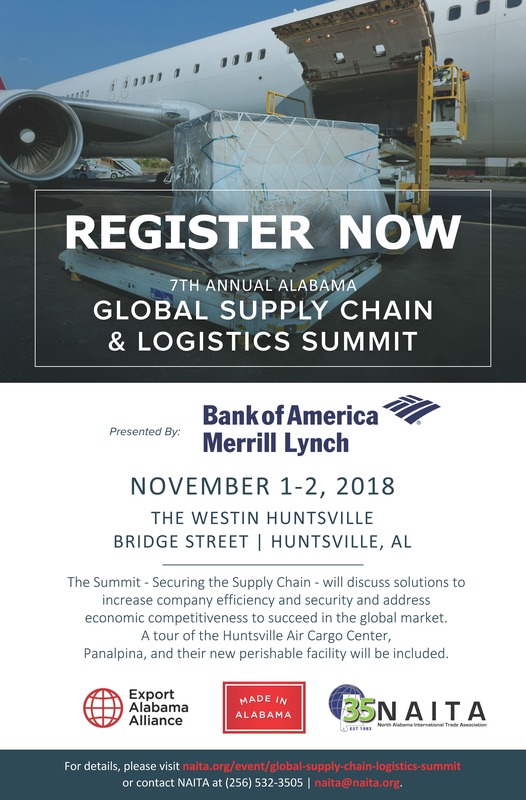 The summit – focused on Securing the Supply Chain – will address supply chain issues and discuss solutions to increase company efficiency and economic competitiveness needed to succeed in the global market. 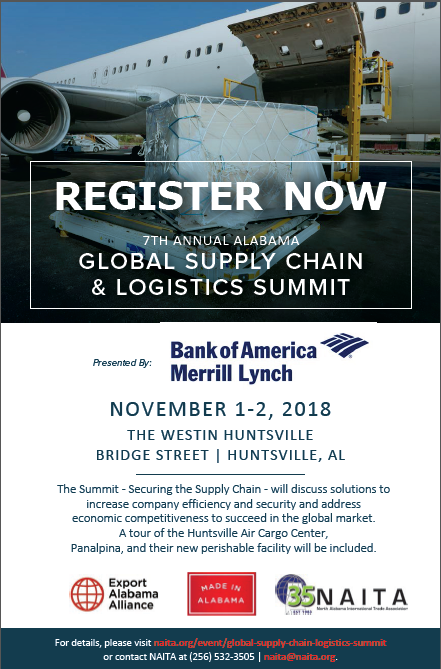 A tour of the Huntsville Air Cargo Center, Panalpina, and their new perishable facility will also be included in the summit. 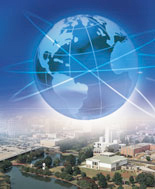 Global Supply Chain & Logistics Summit Reception, at Panalpina, Inc. 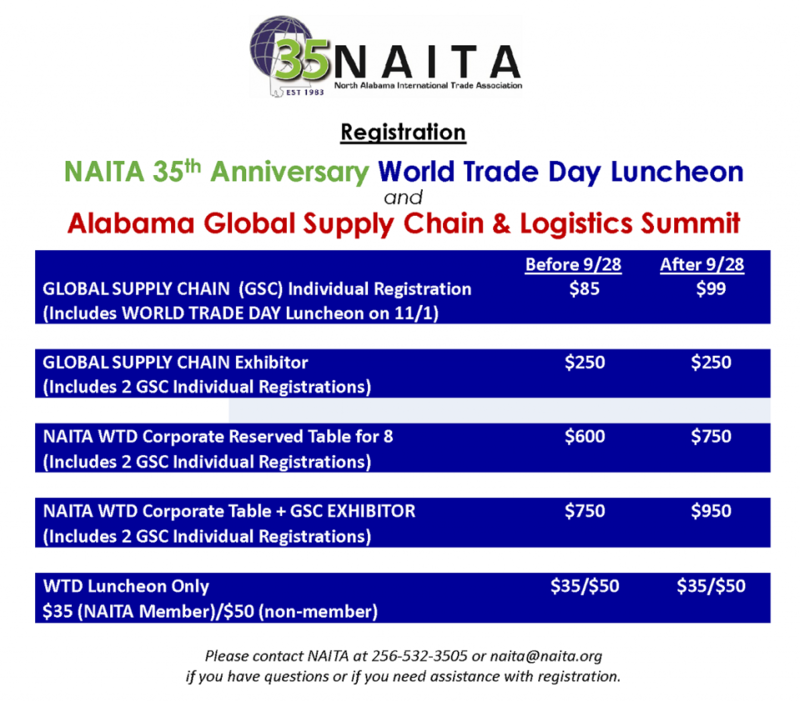 Please click here for the 7th Annual Alabama Global Supply Chain & Logistics Summit Agenda. 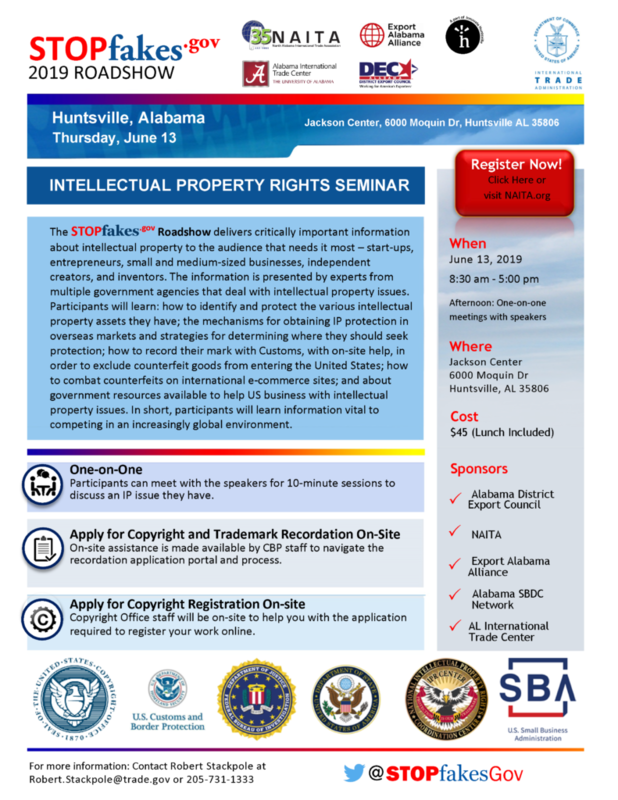 You may register online or you may call 256-532-3505 or email naita@naita.org to be added to the registration list and have an invoice sent to you. The Early Bird Registration Deadline has been extended through 10/10/18.